Tanya Holland runs a no-nonsense kitchen, working collegially alongside her staff to create an egalitarian culture among her staff. Holland believes in organization and accountability from inventory to production to the quality of the experience of her customers. She believes in working the same way everyone in her kitchen works, leading by example to get the high standards she’s accustomed to. When hiring, Holland looks for excellent communication skills and commitment to a previous position. By hiring professionals, from dress to behavior, Holland inspires consistently high standards in her kitchen and they inspire one another to continue improving. Because she trusts each of her employees to do their very best, and to encourage others to do their best, Holland’s kitchen can run flat. Removing hierarchy from a kitchen allows people to grow at their own pace. The best employees learn quickly, and encourage growth among all of the staff. A non-hierarchical kitchen also imbues each employee with a sense of value because they contribute equally to the successes of the team. 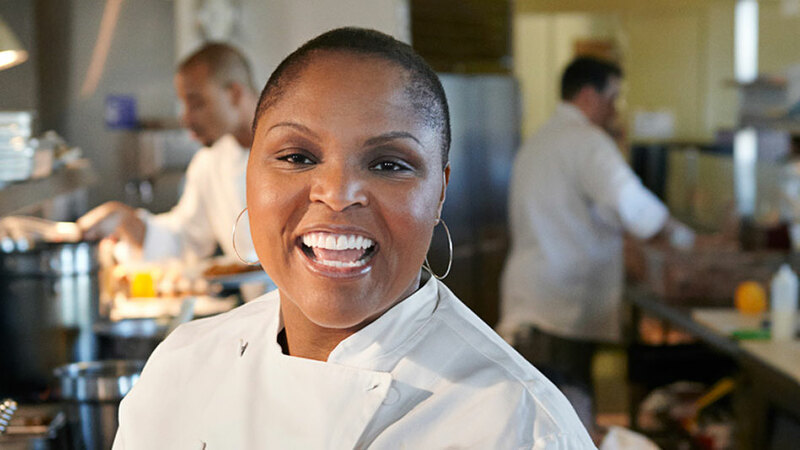 You’re only as strong as your weakest performer in the kitchen, and Holland’s flat kitchen allows all of her employees to get better simultaneously. Holland set up the kitchen to emphasize the diversity of skill sets and employees in her kitchen and the volume of food they produce also reinforces the culture she has set up. When you’re building your culture, follow the feel of your kitchen – do what feels natural to your staff and for you. For Holland, her core value centers around diversity – in the workplace, in the clientele and in skill level and education. Holland’s staff is diverse on so many levels, which sets her apart from so many other kitchens. Each restaurant has a different culture because the physical space, cuisine and service is so varied. Pick what works for you, and find the staff that will make you stronger day over day.